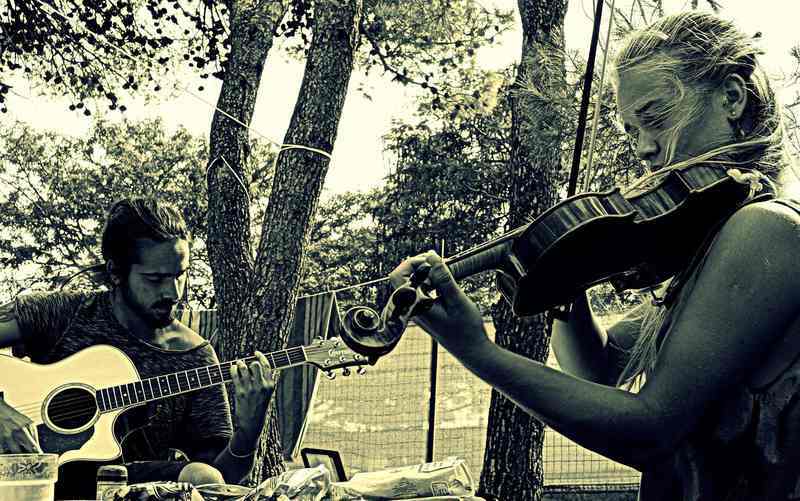 Two young buskers by the name of Laura Krajnc(violin, vocals, percusion) and Sven Horvat(Guitar, back vocals) are performing as a group called Zajtrk (Breakfast). They will present their new album called Pričutenja(meaning.. sense hallucinations), the lyrics range from critic of society (satire) to humoristic, lyrical and poetic themes. The one hour long performance has a a very positive vibe with a touch of theatrical feel.